In this sense, every time we call for character in our leaders, it is always a cry for courage. We are seeking a person who is so alive they are willing to die for the sake of others. We may not want them to actually die, but we want to know is if they care enough to sacrifice themselves for us. This is the epitome of all character. A person’s character materializing in the form of courage is the only way we can ensure the progress of our human community. Without courageous people, all we have are people who are clinging to life. These are people who try to protect what they have for fear of losing it. This is a coward. Or worse, we have people who just wait for death to come. This is a person on the verge of suicide. A person without hope. Both a coward and a suicidal person share a common theme: self-centeredness. A courageous person, on the other hand, doesn’t think less of themselves, but simply thinks of themselves less. This is more important than it has ever been because our leaders seem to be self centered thinkers who use courageous language to cloak cowardly actions. My point is that without a generation of trained self-sacrificing leaders, we will continue down the unstable bridge of cowardly character. Now that we’ve addressed a new meaning and importance for courageous character, we must discuss how it is built. What is important about the story of the prisoner is the man said, “I didn’t decide to run. It is what I have been training to do.” Does this mean the man had no free will to choose a different course? Of course not, he had a choice, but he had trained his choices into instincts. As a former Marine Sniper, there is a statement that I heard many times by special operators far more advanced than me, “you don’t rise to the occasion, you sink to the level of your training.” This means, in the moment, you don’t just become a better person, you will do what you’ve been training to do. This proves to be true whether I am speaking, competing, child-rearing or trophy husbanding. I may have the skill of speaking, but if I fail to prepare the specific message for that specific audience, my skill can’t overcome my failure to prepare for that mission. The problem with using the word “training" is that is suggests a lot of work, sweat and time to see results. But this isn’t the problem because people put work and effort into many things and see the results all the time. However, courage is much harder than work, sweat and effort. If all courage took was hard work and effort we would have more courageous leaders. So why don’t we? The reason is in what courage requires and what courage provides. First, courage requires love. And what does love require? Sacrifice. This includes reversing behaviors. When I trained with BJ Fogg at Stanford’s Behavior Design Lab, I learned that when someone is asked to stop a behavior, they usually don’t. However, if you ask them to start a new behavior, they could be distracted away from the old behavior. This is very effective in technology, but not so much in matters of character. Love will require you to address your faults in order to see a new path. Second, courage provides results that do not glorify you; they glorify something outside of you. If you train for an Ironman®, you spend a great deal of time following a strict routine. Why? So you can finish the race. This brings personal satisfaction. It does not glorify anything outside of you. That’s ok, it just didn’t take courage to do that race, it took work, sweat and effort. What do you do when you finish the race, you celebrate with burgers and beer. You want something pleasurable for all that work. But courage takes work, sweat, effort and love. What is the result of that? Joy. The results of courage are a surprise; mainly because when you do a courageous act, you aren’t expecting a reward for doing so. Pleasure is a reward controlled by you to say, “good job me.” Joy is not. Humans tend to do things they can predict the outcome of, that is why pleasure is the obvious celebration for hard work. An act of courage doesn’t consider celebration. The act only thinks about sacrifice for what they love. I do not think the mother who jumped in front of the bullet for her son during the Orlando shooting did it so they could go out and celebrate afterward? She didn’t think. She just did it. Where’s the joy in that? Her son is alive because of her love! If her son fails to see the beauty in what she did, then he is missing the Joy she brought to his life. The feeling I had after finishing World’s Toughest Mudder or the Ironman® was completely predictable. I felt like a hard worker and so I celebrated. The reason we don’t see more courageous leaders is because we don’t like the prospects for our pleasure in becoming courageous. Courage means we will lose control. The silly part of this is thinking we have control of anything in the first place. Chesterton has many quotes about war and courage. One of his best is, “A true soldier fights not because he hates what is in front of him, but because he loves what is behind him.” This quote tells us how this training should look. It is not a pill we can take to have instant courage. It is not a door we can walk through, courageous character is a path. A path where you take a small step each day choosing to serve human flourishing. Courageous character continues to fight for the human community. Any time we act in our own self interest, we are off the path of training our courageous character. That is it. Courageous character training is in the everyday actions of service to the human community. That said, what I’ve proposed is impossible without an example to follow and love. Why impossible? Because after reading this you’ll think you can pick up your bootstraps and go be courageous and you can’t. It’s too hard. You’ll kill yourself trying to earn courage when courage can’t be earned. It is a pursuit of love and the result provides what you need the moment you need it. So what examples in history are there of people who gave up all that they are for all they hold dear? I gave you one earlier of the mother in Orlando, but there are many others: every medal of honor winner. Every mother who has died giving birth. But these examples won’t shape your courage. Afterall, these people didn’t love you and sacrifice themselves for you. My point is the only thing worth all our effort to train in courageous character is doing it for someone who sacrificed themselves for us. Who died for you and me? Who gave up all they had, so we could live? What person did that? I know only one person in history who made that claim and he died on a hill called Calvary. Remember this, power is in the hands of the person who is willing to sacrifice themselves for all they hold dear. A person who sacrifices others for what they want is a person with an addiction for control they never had. Their time is numbered & they will destroy themselves. You think I'm not talking about myself? I am. That's why I need training & healing. Dying for who you love is conceivable, but dying for who you hate, that is a much harder to process, but that is the benchmark of the kind of courage I am talking about. Once this self sacrificing idea sinks deep within our hearts, we’ll begin looking at relationships around us as gifts to enjoy rather than assets that depreciate and can be stolen. Before you go and start making your life courageous, look first at the ultimate example of courage and then let love guide your action each day. Train others like this and we may yet see a generation of courageous human leaders worthy of our obedience. About the author: Hi!  I'm Gary Xavier, founder of The Blade Group LLC. A company that provides faith-based training in resilience to families, businesses and schools. I am a former Marine sniper, Iraq War veteran, Ironman® athlete and PGA Golf Professional. I earned my MBA from CSU Sacramento and I am training currently in Christian apologetics with RZIM. You can follow me on Twitter or Instagram @garyjxavier or email me at gary@garyxavier.com.